We also met our mIRC friend called Alram! He came to Minecon and we hang out for three days. Hello Alram! 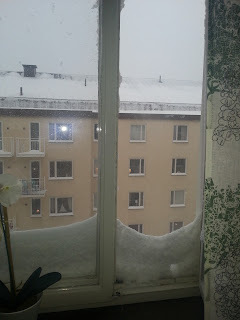 This is our kitchen window... And radiators are still not hot. 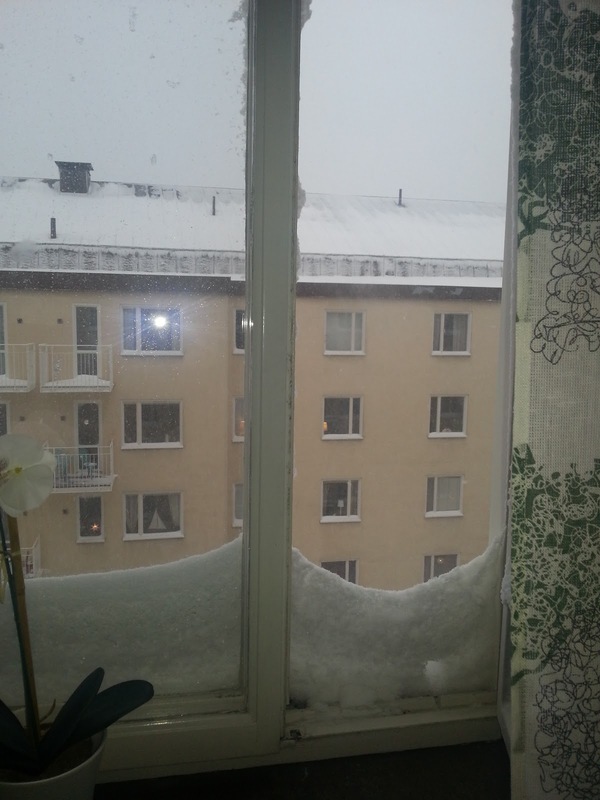 Thankfully I just got a call from a handy man for our building, asking if he can come over today and bleed our radiators! So we are expecting him any minute now. I hope it will help with our colds! I don't have a lot of good photos from Paris or Minecon. I was trying to get more fun than pictures! Crepes - Dinnerbone didn't like them! Dinnerbone was so famous, signing a girl! Dinnerbone and Alram, so pretty. Best part of Disneyland, Star Wars zone.